Thirty million American adults have hearing loss in both ears. And hearing aids could help over 28 million of those people. Hearing loss left untreated is a huge health issue costing the U.S. over $130 billion dollars per year. Yet many people don’t get hearing checkups on a regular basis. Are you worried about your hearing? Depending on the cause of your hearing loss, you don’t have to lose your hearing forever. Keep reading for more information on hearing loss remedies. Your ears are not only how you hear, but they’re also involved in maintaining balance. Loss of hearing can also cause cognitive decline. The eardrum vibrates the delicate ear bones which amplify the sound. These bones are the malleus, incus, and stapes. The inner ear is a complicated apparatus. It involves tubes, liquid, and nerves. These are all areas susceptible to damage under certain circumstances. There are several different types of hearing loss. Each has different causes. Not all hearing loss is permanent. Sensorineural hearing loss is common and permanent. This type of loss comes from damage to the auditory nerve. Damage to the hair-like cells, called cilia, also cause sensorineural hearing loss. Some diseases, like Meniere’s disease, can cause permanent sensorineural hearing loss. Hearing loss isn’t always complete, even if it’s permanent. You may still have some hearing. Repeated exposure to loud noises can damage the hearing and cause permanent loss. Veterans exposed to repeated noise from gunfire suffer hearing loss and sometimes tinnitus. Tinnitus is buzzing or ringing in the ears. When sound can’t travel from the outer ear to the middle and inner ear, it causes hearing loss. Conductive hearing loss isn’t always permanent. It depends on what caused the loss. Something as simple as earwax can cause conductive hearing loss. But a traumatic injury that breaks the tiny bones in the ear can cause permanent loss. Ear infections, benign tumors, and fluid buildup are other potential causes of conductive hearing loss. People who surf in cold water for many years sometimes have surfer’s ear. That’s abnormal bone growth around the stapes. This is the body’s way of protecting your hearing from the cold. Sometimes surgery can fix hearing loss from surfer’s ear. If your sensorineural hearing loss is complicated by a tumor, earwax, or other obstruction, that’s mixed hearing loss. There are many hearing loss remedies. Some are mechanical while others are natural. Reversing hearing loss through natural means is sometimes possible. It depends on the cause of the loss. There is anecdotal evidence only for treating hearing loss with herbs. The FDA doesn’t regulate herbal supplements or essential oils. Always get your herbs and supplements from a trusted and reputable source. Gingko Biloba helps with blood circulation. Everything in your body performs better if circulation is good. It’s possible Gingko Biloba can help your ears through increased blood circulation. Garlic is a natural antibacterial. Viral infections are usually the culprit when it comes to hearing loss. But eating lots of raw garlic is beneficial. You can put garlic oil from a reputable health food store right into an infected ear. Dill contains zinc which is beneficial to the immune system. Put dill in salads, eggs, and other foods. Turmeric has long been known as a medicinal herb. Its bioactive compounds and potassium minerals may help with healthy ear function. Echinacea is a popular herb loved for its many health benefits. Echinacea reduces inflammation and fights germs with its natural antibiotic properties. Essential oils are popular for treating all sorts of ailments. The oils are “essential” because the oil extract retains the essential part of the plant. Helichrysum is popular for treating hearing problems and infections. Put a few drops of essential oil behind the ears. Don’t put the essential oil drops in the ear. Antioxidants inhibit oxidation and neutralize free radicals. Vitamin E, C, and beta carotene are antioxidants. Plant nutrients and some minerals are also antioxidants. There’s a lot of scientific research providing evidence that antioxidants fight inflammatory disease. They also fight cancer and eye diseases. A diet high in antioxidants may help fight hearing loss. Time is of the essence when it comes to hearing loss. It’s important to seek a medical professional in the case of sudden hearing loss. Hearing loss due to a virus can often be reversed. But immediate treatment is necessary. The longer you go without treatment, the less likely you’ll recover your hearing. If you prefer natural hearing loss remedies, check with your doctor first. Hearing aids come in many types. A hearing aid amplifies sound in the ear canal. They can’t restore permanent hearing loss. But they make it possible for many people to live life without the negative effects of hearing loss. Cochlear implants aren’t for everyone. But in specific cases, they work miracles. The implant stimulates the auditory nerve with an electrical pulse. The cochlear device is surgically implanted. It’s only for someone with moderate to profound sensorineural hearing loss. There are many hearing loss remedies. Whatever remedy or treatment you decide, seek a doctor for sudden hearing loss. Some natural treatments work great for tackling bacteria that cause earaches and infections. But there are many hearing loss causes. Not all causes respond to herbs or essential oils. If you’ve got hearing loss, don’t grin and bear it. See what treatment works best for you. 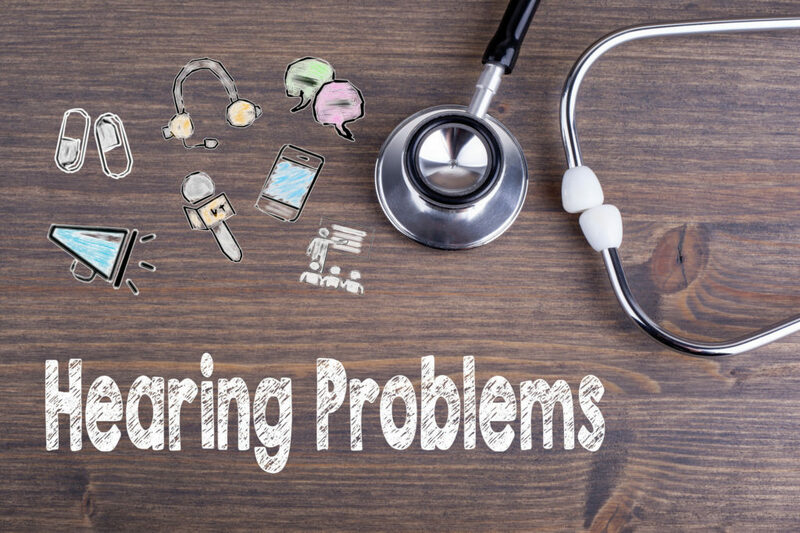 Need help with hearing loss issues? Contact us and see how we can help.